The North American Flowering Dogwood tree (Cornus florida), is a large shrub or small bushy tree. 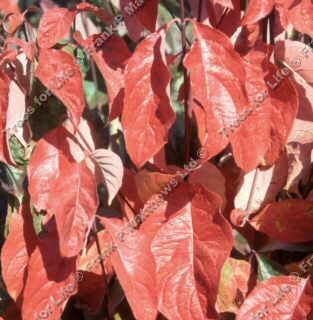 Notable for its dark green foliage and richly coloured reds and purples in autumn. Appealing white petal-like flowers are a feature of this tree in May. This tree is not suitable for shallow chalk soil. This tree is supplied at a height of between 1.3 and 1.7 metres in a 7 litre container for year round planting and better results than from either bare-root or rootballed stock.